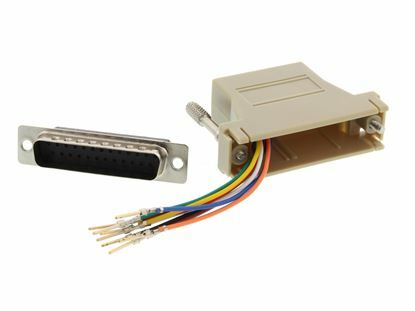 These Networx® Modular Adapter Kit - DB15 Female to RJ45 - Beige are unwired and are used to convert a DB connector to a modular Female connector. 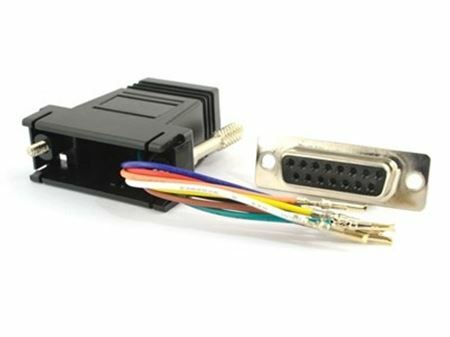 These Networx® Modular Adapter Kit - DB15 Female to RJ45 - Black are unwired and are used to convert a DB connector to a modular Female connector. 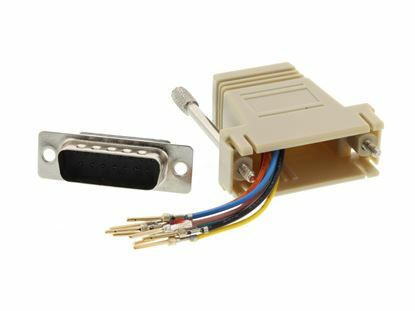 These Networx® Modular Adapter Kit - DB15 Male to RJ11 / RJ12 - Beige are unwired and are used to convert a DB connector to a modular Female connector. 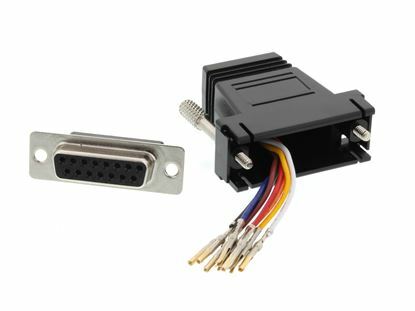 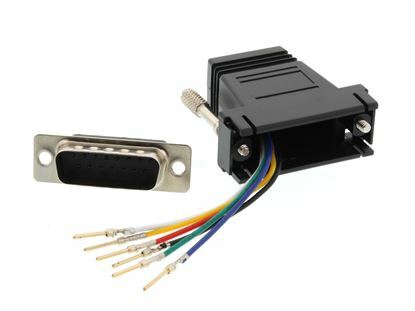 These Networx® Modular Adapter Kit - DB15 Male to RJ11 / RJ12 - Black are unwired and are used to convert a DB connector to a modular Female connector. 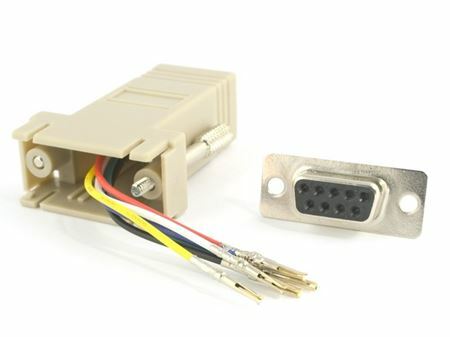 These Networx® Modular Adapter Kit - DB15 Male to RJ45 - Beige are unwired and are used to convert a DB connector to a modular Female connector. 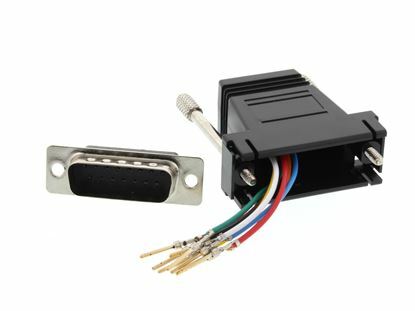 These Networx® Modular Adapter Kit - DB15 Male to RJ45 - Black are unwired and are used to convert a DB connector to a modular Female connector. 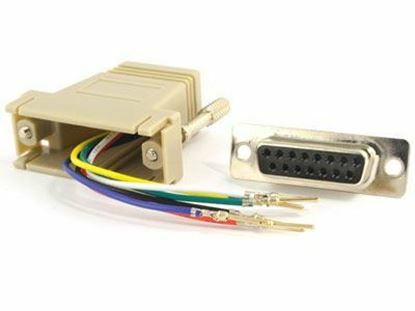 These Networx® Modular Adapter Kit - DB25 Male to RJ11 / RJ12 - Beige are unwired and are used to convert a DB connector to a modular Female connector. 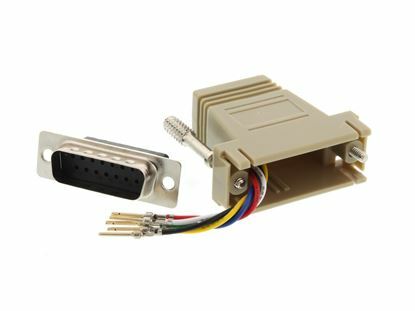 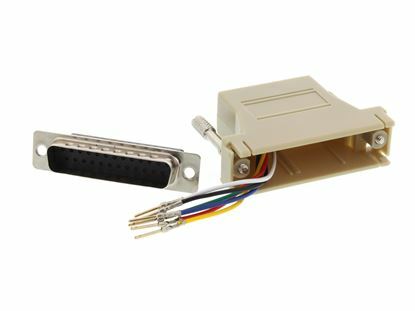 These Modular Adapter Kit - DB25 Male to RJ45 - Beige are unwired and are used to convert a DB connector to a modular Female connector. 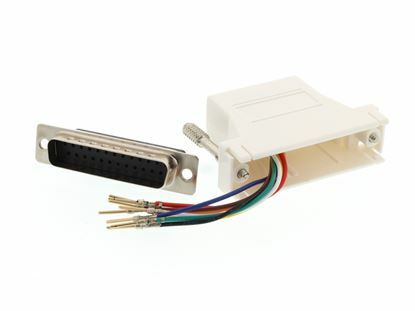 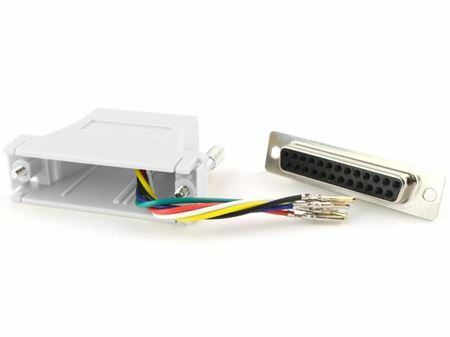 These Networx® Modular Adapter Kit - DB25 Male to RJ45 - White are unwired and are used to convert a DB connector to a modular Female connector.